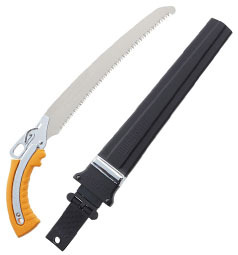 The Gomtaro Pro Sentei range offers a dual purpose pruning saw with both fine and coarse teeth on the same blade. The coarse teeth (8 teeth per 30mm) run down the length of the blade from the handle before changing to a finer teeth ratio of 14 teeth per 30mm towards the tip of the blade. This versatile saw can easily be used to cut both large and small branches and also produce an extra smooth finish when required. 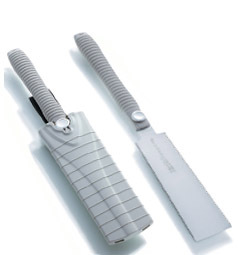 The Pro Sentei comes in 2 blade lengths – either 240mm or 300mm. 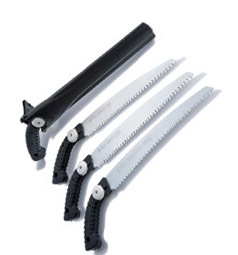 The wider Gomtaro range also includes the Gomtaro Root saw, the double edged Gomtaro 2dangiri saw, Gomtaro Fine as well as the traditional Gomtaro. 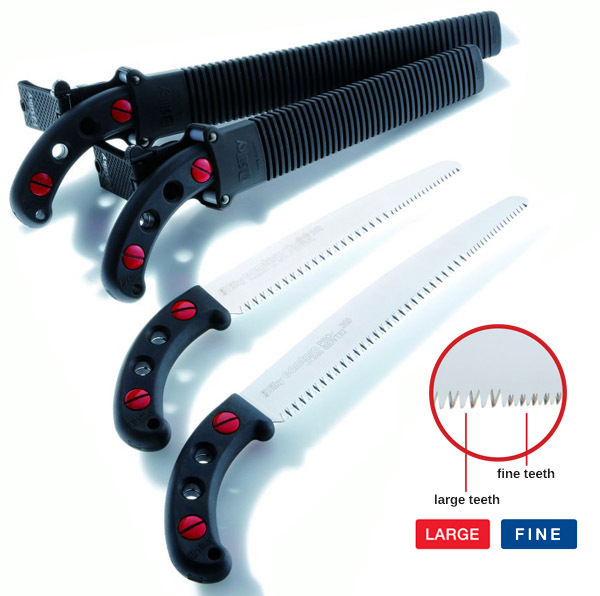 The saws come with a comfortable rubber handle and a custom made, durable black polypropylene holster which can be attached to a belt or leg strap. 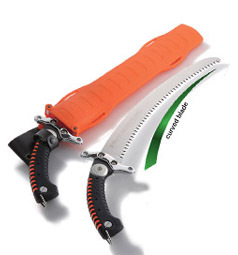 The saws are designed to have replaceable blades and all other parts are also available. The saw should be cleaned of any debris/dirt. Ideally the blade should be cleaned with a solvent being careful to keep it away from the handle - this will help prolong its useful life. Store away from moisture. 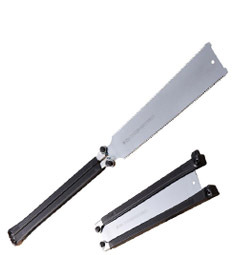 Gomtaro blades cannot be re-sharpened due to the use of electro-impulse hardening in the manufacturing process.